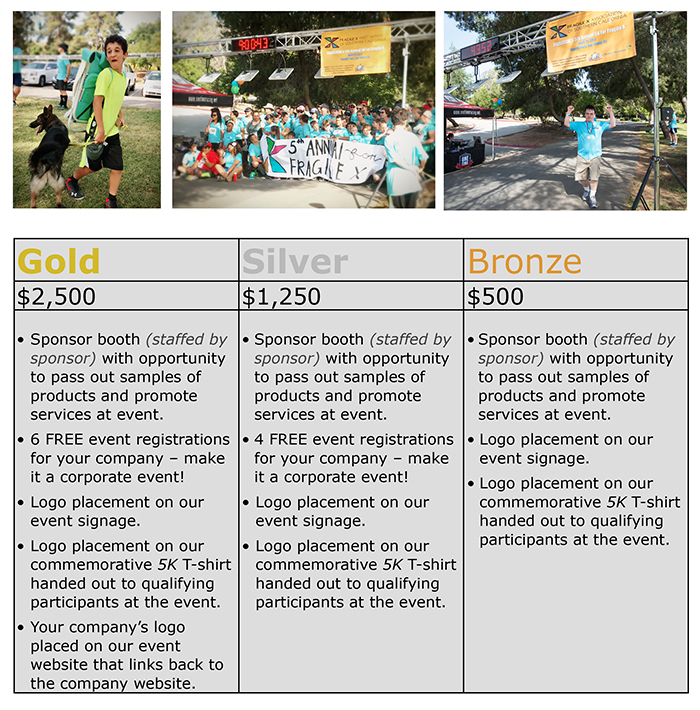 BE A SPONSOR! – Click Here for information and form. California Fragile X Awareness Day! Park as close to Picnic Valley as possible (see large map-red arrows). $10 entrance fee. Cash only. Free parking outside of the park next to the 57 freeway entrance. Why race for Fragile X Syndrome? Fragile X syndrome (FXS) is the leading known cause of inherited intellectual disability and the leading single gene cause of Autism. Fraxsocal’s mission is to promote public awareness and with your help we can accomplish this goal! Also, to provide a forum for families and children with FXS to meet & greet and create a stronger FXS community! A Family Fun Day will proceed after the race with family, food and fun!! 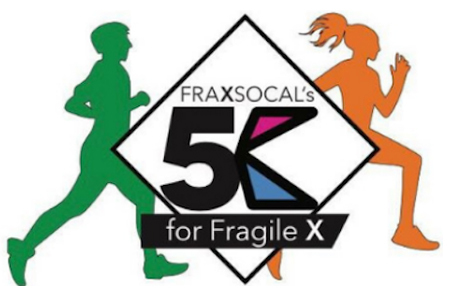 The Fragile X Association of Southern California (FRAXSOCAL) is hosting it’s 6th annual 5K for Fragile X and Family Fun Day event on Saturday, March 9, 2019. Fragile X Syndrome is the leading cause of inherited intellectual disability and the leading single gene cause of Autism. It is a spectrum disorder and can range from mild to profound impairment. The Fragile X Association of Southern California (FRAXSOCAL- Non-Profit Tax ID #95-4546917) was established in 1998 by parents of children with Fragile X syndrome and continues to be run by dedicated parent volunteers. The mission of our organization is to promote public awareness of Fragile X syndrome with a special emphasis on educators and health professionals; provide a forum for families of children with Fragile X to meet and share their ideas, concerns and problems; and support scientific research of Fragile X syndrome. Educational events: mini conferences for strategies on daily living, carrier issues, and other Fragile X related disorders. Providing information and referrals for different types of services, most importantly, to the Fragile X Clinic at Miller’s Children Hospital in Long Beach as well as clinical studies. Inviting families to quarterly Family Fun Day events that we organize all over Southern California at no cost to them. It’s an opportunity to meet other families and share experiences. The FRAXSOCAL 5K and Family Fun Day is our largest event of the year!! We started in 2013 with only 40 people in attendance and last year we grew to over 200 participants! The race is family friendly but also a good challenge for those avid runners! Last year we had In & Out, a live DJ and One Hope Wine Tasting for some fun! Our families had a blast and we got to embrace those living with Fragile X Syndrome! We would appreciate any support you and/or your company can provide and look forward to hearing back from you. If you have any questions, please do not hesitate to reach me at 949-510-0925. ← 2018 Was An AWESOME YEAR! Thank You!